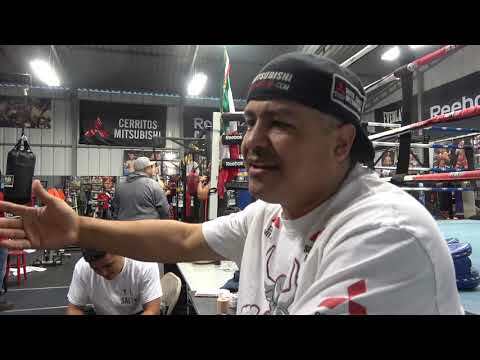 "Elie Seckbach Reporting" Subscribe: Follow TALENT: ➡️ Follow my IG: ➡️ Twitter: Official Website: Watch More ESNEWS: ➡️ Latest Uploads: ➡️ The Robert Garcia Reality Show: ➡️ Brandon Krause Videos: ➡️ Boxing Basics: ➡️ Popular Videos: About ESNEWS: Elie Seckbach (אלי זקבך) features by the LA Times and Ring Magazine as the Most Influential boxing reporter has been covering Sports BOXING MMA & The NBA since 1997. ✅ His ability to get interesting quotes from star athletes prompted Andy Gray of CNN/SI to call him "the most entertaining NBA reporter out there." ✅ While Former Mike Tyson Publicist Michael Marley writes: "If there is going to be an Internet age Howard Cosell, it may turn out to be Elie Seckbach." ⭐In 2009 Seckbach was nominated by the Associated Press and won the Mark Twain Award.⭐ ✅ In June 09' Lil Wayne samples Seckbach in his song 'Kobe Bryant. And in 2010 Seckbach won the Boxing Reporter of The Year award from ATG Radio. In 2017 Seckbach received two Awards for his boxing coverage. ✅ Away from sports Elie has covered major news events and has won both a Golden Mike and an Emmy Award. ✅ His reports have been featured on: AOL Sports FanHouse & NBC TV, The LA Daily News and CBS 2 News. Prior to that Seckbach reported for leading news outlets in Israel.